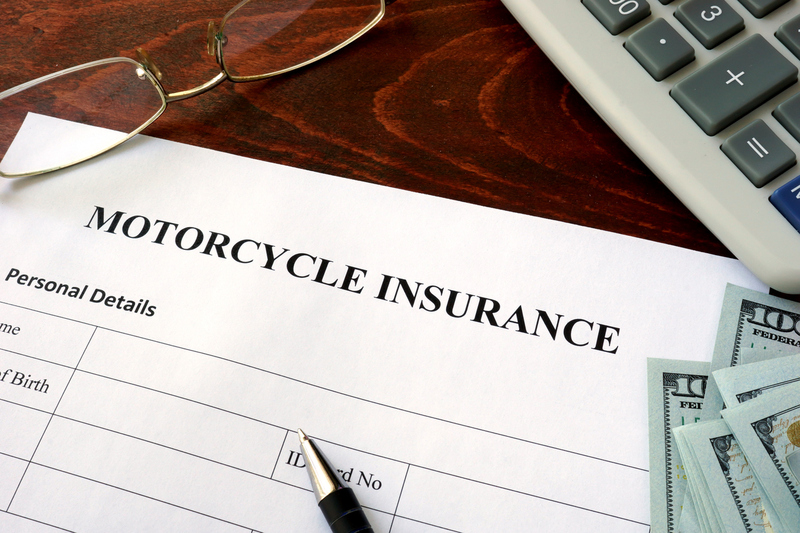 Motorcyclist insurance policies are very similar to the standard auto policies with which most people are familiar, however, there are a few key differences. Unfortunately, most consumers do not take the time to consider the details of their policy, what potential damages can be recovered, and whether they are covered in the case of uninsured or underinsured at fault parties. Motorcycle accidents can often lead to serious expenses, missed work, pain and suffering, and more. Purchasing the correct motorcyclist insurance policy is the best way to ensure you and your family are protected. The personal injury attorneys of Kamensky, Cohen & Riechelson understand the importance of adequate motorcyclist insurance protection. We have been serving bikers for over four decades in Pennsylvania communities like Northeast Philadelphia, Levittown, Penndel, Bensalem, Feasterville, Millbrook, and all of Bucks County. Lean on our experience to protect your legal rights if you have been injured in a motorcycle accident and seek damages through a personal injury claim. Call our office today for a free and confidential consultation regarding your motorcycle accident, resulting injuries, and potential personal injury claim. It is worth noting that PA law does not change minimums for motorcycle coverage based on whether or not the biker is wearing a helmet. Such laws are common in other states, but do not apply in Pennsylvania. As the old saying goes, “you get what you pay for”. Buying cheap motorcycle insurance will lead to low payouts, minimal protection, and even the possibility that you will not be able to seek damages at all for your injurious accidents. Our Levittown biker’s lawyers will explain why cheap insurance is not worth the risk. Unlike with auto insurance policies, motorcycle insurance providers are not legally obligated to provide Personal Insurance Protection (PIP) coverage. PIP is intended to cover personal losses including medical expenses and lost wages in the aftermath of an accident. PIP coverage is available for bikers in Pennsylvania, and it is almost certainly worth the minimal added cost to ensure that you will not be paying for those expenses out of pocket. Liability coverage for bikers in Pennsylvania can range from $15,000 all the way to $500,000 per accident for injuries. Property damage coverage coverage ranges from $10,000 to $100,000. In a serious accident, the potential for your compensation could go from $600,000 (and even higher in extreme cases) down to $25,000. That is a potential difference of $575,000 in damages due to purchasing the minimum coverage available. Another key choice is whether or not to purchase uninsured/underinsured coverage. If you or a loved one is injured or killed in a motorcycle accident, this coverage ensures that you are not at the mercy of the policy of the at fault driver. In other words, you can still recover damages even if the other party does not have auto insurance. Why is it Especially Important for Motorcyclists to Have Strong Coverage in Bucks County? Riding a motorcycle is more dangerous than operating passenger vehicles by nature. Statistically speaking, bikers are up to 29 times more likely to be killed in an accident than those riding in other motor vehicles. Motorcycle accidents are also significantly more likely to lead to traumatic injuries including brain damage, spinal cord injuries, broken bones, paralysis, and more. While most bikers are aware of the added dangers, many of us fail to take the necessary precautions to put ourselves and our family’s in the best possible position in case of an injurious accident. As motorcycle accidents tend to be more severe and more costly than standard motor vehicle accidents, purchasing adequate coverage is of the utmost importance. If you or a loved one has been injured in a motorcycle accident, our Bucks County personal injury attorneys are here to help. Even if you have minimal insurance, we will work with the details of your case and discuss possible avenues towards recovering full and fair compensation for your injuries. At The Law Office of Kamensky, Cohen & Riechelson, our personal injury attorneys have been serving clients injured in accidents since 1972. We believe in protecting the legal rights of motorcyclists in Pennsylvania towns including Northeast Philadelphia, Levittown, Bensalem, Penndel, Millbrook, Feasterville, and the greater Bucks County region. Lean on our experience to seek full and fair compensation for your motorcycle accident injury so you can secure your family’s financial future. Contact us online or give us a call at our Bensalem offices by dialing (215) 337-4915 today to speak with a member of our legal team in a free and confidential consultation regarding your motorcycle or other motor vehicle accident.